INTEGRANTES DE LA VIGESIMA PRIMERA CARAVANA DE LA AMISTAD PASTORES POR LA PAZ, DURANTE UN RECORRIDO POR LA PROVINCIA DE MATANZAS A UNOS CIEN KILOMETROS DE LA CAPITAL CUBANA, CONDENO UNA VEZ EL INFAME BLOQUEO ECONOMICO, COMERCIAL Y FINANCIERO CONTRA LAISLA. EL REVERENDO TOM SMICK EN DECLARACIONES A LA PRENSA EXPRESO QUE PARA ELLOS FUE UN HONOR PARTICIPAR EN EL ENCUENTRO CON NUESTRO COMANDANTE EN JEFE EN EL MEMORIAL JOSE MARTI EN LA PLAZA DE LA REVOLUCION, FUNDAMENTALMENTE SABER QUE FIDEL ESTA SALUDABLE Y MUY RECUPERADO. EL LIDER RELIGIOSO , TAMBIEN AGRADECIO A FIDEL SU PLATICA SOBRE LA ATENCION A DIVERSOS TEMAS Y LES RECORDO QUE EL MUNDO ESTA EN PELIGRO Y ES NECESARIO CONTINUAR TRABAJANDO. 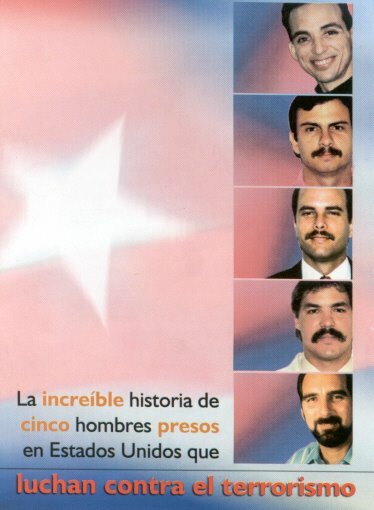 TOM SMCK ACOMPANADO DE SU GRUPO Y DE LAS AUTORIDADES DEL INSTITUTO DE AMISTAD CON LOS PUEBLOS EN MATANZAS, MANIFESTO QUE LOS MEDIOS TRANSNACIONALES DE LA INFORMACION EN LOS ESTADOS UNIDOS OCULTAN LA VERDAD DEL CRUEL BLOQUEO Y DE LA CAUSA DE LOS CINCO CUBANOS ANTITERRORISTAS PRISIONEROS INJUSTAMENTE EN CARCELES NORTEAMERICANAS. POR ULTIMO EL LIDER RELIGIOSO PRECISO QUE LOS PASTORES POR LA PAZ CONTINUARAN ORGANIZANDO LAS CARAVANAS DE AYUDA HUMANITARIA A CUBA PUES TODO ESTO QUE HACEMOS ES UNA EXPRESION DEL PUEBLO NORTEAMERICANO DE SOLIDARIDAD , CONVENCIDOS DE QUE HAY QUE ELIMINAR EL BLOQUEO Y SOBRETODO ALEJARLO DE LOS MEDIOS DE COMUNICACION MASIVOS QUE TANTO DANO HAN HECHO CON SUS MENTIRAS Y CAMPANAS.